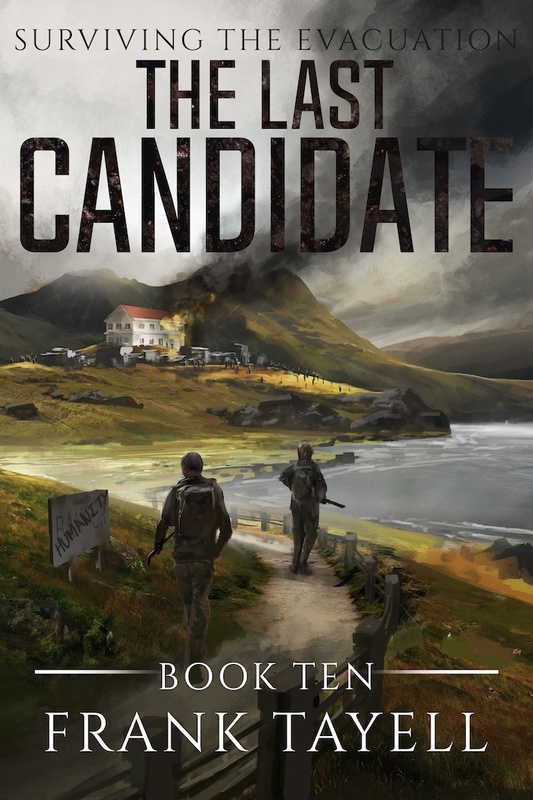 Surviving the Evacuation 10: The Last Candidate, is out now as an audiobook. Nine months after the outbreak, 10,000 survivors have found a refuge on the Welsh island of Anglesey. Hordes of the undead ravage the wastelands of Britain and Ireland. Satellite images show that the rest of the world is no better. Food, fuel, and ammunition are running low and there are no more old-world supplies with which to replace them. Intended as an alternative to a slide into despotism, an election is called. It is hoped the contest will bring forth solutions to the myriad crises facing this last bastion of humanity. After the favoured candidate is hospitalised, suspicion falls on the new frontrunner, a publican who purchased his support with an impossible promise of a return to the pre-apocalyptic world. With no viable candidate, and no way of calling off the election, those who still have access to a ship plan their departure; others plan to rig the contest; a few give up on all plans for a future beyond tomorrow. Anglesey is on the verge of collapse, and humanity is on the brink of extinction.